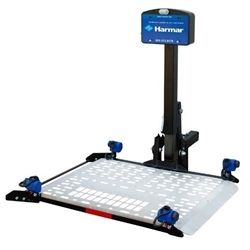 The Wheelchair Authority carries only the best quality scooter and power wheelchair lifts and carriers, from Harmar and Pride Mobility. We only sell the lifts that we trust to be the best. The scooter and wheelchair lift brands we carry, Pride and Harmar are the leading manufactures in the product today! 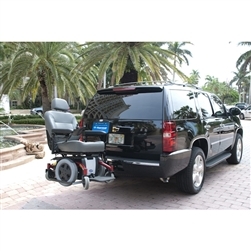 Includes a FREE Heavy Duty Mobility Cover! Lift lets you easily and securely transport virtually any 3 or 4-Wheel Micro Scooter. 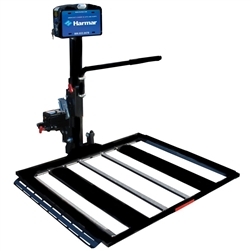 The AL010 comes backed by Harmar′s 3 Year Transferable Warranty. 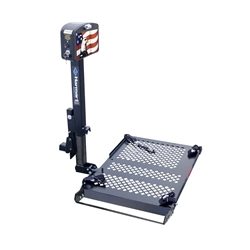 Fits virtually any micro chair - Utilizes platform and straps for safety and ease in loading. Our patriotic electric carrier accommodates both power chairs and scooters. Loading and unloading is a breeze from either side of the platform. The large 48” X 28” platform accommodates most chairs and scooters. Engineered specifically to fit your micro scooter. Simple, lightweight design - Class I hitch capable. 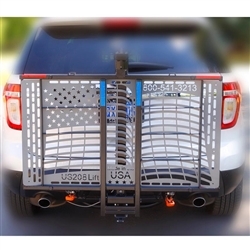 Integrated License Plate Holder - No Scooter Modifications required. 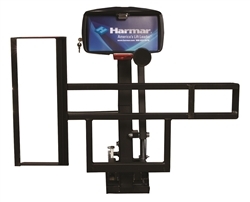 Integrated Drop Bracked for Truck and SUV applications. Unique hold-down arm automatically secures virtually any scooter. 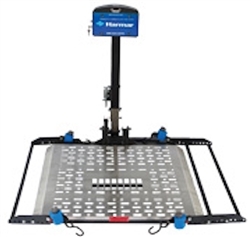 Automatic lift offers simple, nearly effortless operation. 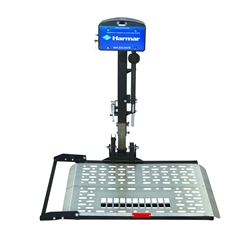 Using automatic re-tractors the AL500 can secure virtually any power chair. Available in both a standard version and a 400 lb Hi-Capacity model. 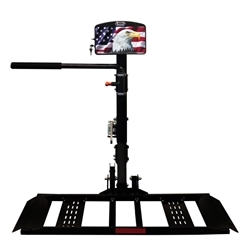 The unique hold down arm will secure virtually any scooter available. 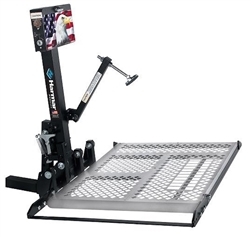 Compatible with Class II or III hitches, a hefty 400 pound lifting capacity. 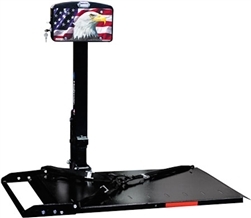 Offers even more safety and security with a 350 lb. weight capacity. Comes with wiring harness to wire directly to existing battery. This heavily reinforced lift will accommodate both power chairs and scooters. Now available to hold up to 400 lb. capacity! 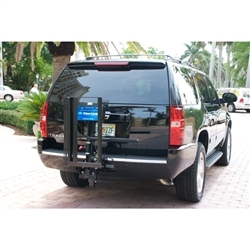 Offers even more safety and security with a 400 lb. weight capacity. Outside Electric Lifts are for use inside to lift scooters, power wheelchairs, and more.